Italian garden, home to the pool. Ideal for a picture-perfect holiday dedicated to nature, relaxation and excellent cuisine. 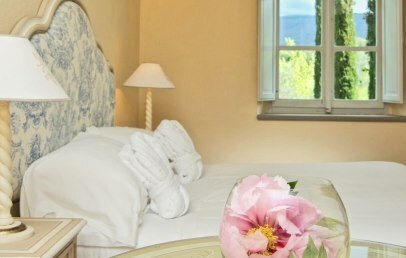 Located a few kilometres from Cortona, Villa di Piazzano dominates the surrounding landscape, offering guests relaxing views over the beautiful Tuscan countryside, dotted with endless expanses of vineyards and olive groves. 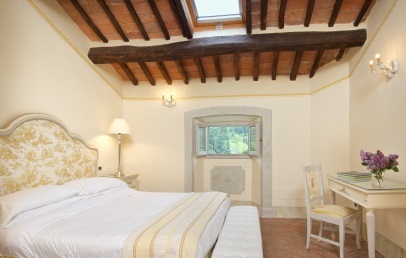 The elegant period residence enjoys a privileged location within easy reach of many of Tuscany and close-lying Umbria’s places of interest: Pienza, Montepulciano, Arezzo, Perugia, Gubbio, Assisi. A former hunting lodge built in 1464, this magical corner of Tuscany was discovered by the Wimpole family in 1998. 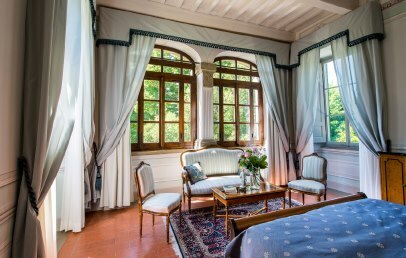 Renovated in full respect of its past, Villa di Piazzano today is a place devoted to hospitality, where tasteful elegance and bucolic nature meet. The villa is set deep in its own large garden, a century-old park protected by the Superintendent for Environmental Heritage due to its natural importance. The beautiful pool with its sundeck nestles in this oasis of relaxation and tranquillity. 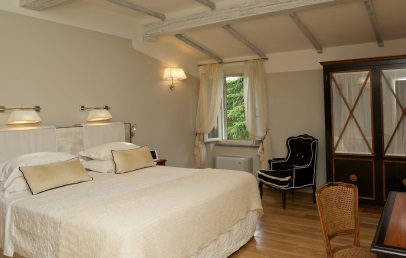 The 30 rooms at Villa di Piazzano are spread across two floors and in buildings adjacent to the main villa, fully respecting the original layout of the villa. 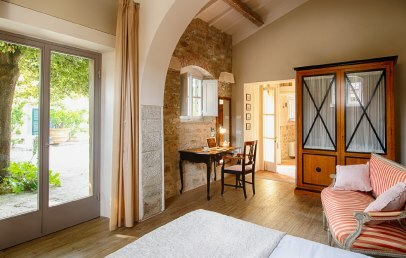 Tastefully designed and with elegant furnishings, rooms are available in different sizes and with different views: rooms on the second floor have smaller windows but offer the best views. 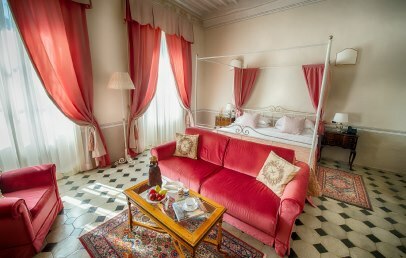 L’Antica Casina di Caccia boasts a stunning terrace overlooking the villa’s gardens, the scene of romantic dinners, jazz evenings and barbeques under the stars in the summer months. The restaurant is open for both lunch and dinner and offers Tuscan specialities, presented in a simple and authentic menu. Lovers of fine wine will appreciate the villa’s ancient cellar that hosts guided tastings and themed evenings. The restaurant is closed on Tuesdays. La Limonaia is home to the cookery school with its small dining room and terrace where course participants can taste the lunch prepared in the lesson. Courses are of different lengths and students will learn how to prepare a full meal, from starter through to dessert. The hotel has a variety of activities on offer to guests who want to get out and explore the area: day trips, history-nature trips, cookery courses, wine tasting, tastings and guided visits to a traditional mill. The villa’s gift shop has on sale a careful selection of handcrafted Tuscan and European products. 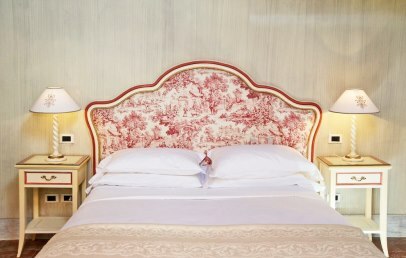 Junior Suites are elegant rooms with a classic design and elegant furnishings. Rooms offer either a king size or queen size bed and all have a living area with sofas. 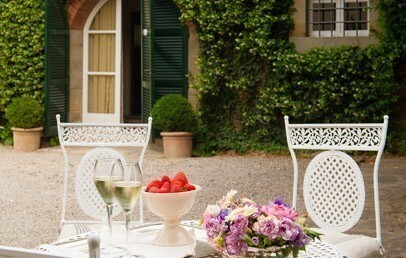 All rooms have stunning views over the garden. 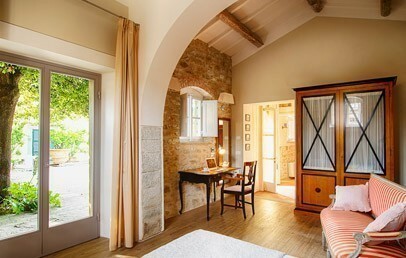 Sophisticated and practical, deluxe rooms offer elegant furnishings, wooden beams and soft colours. Rooms have either a king size or a queen size double bed or twin beds. All rooms offer an en-suite bathroom with bathtub or shower, hair dryer, bathrobes and complimentary toiletries set. 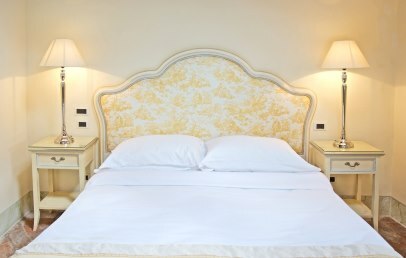 Elegant double rooms, superior rooms offer either a double bed or twin beds. 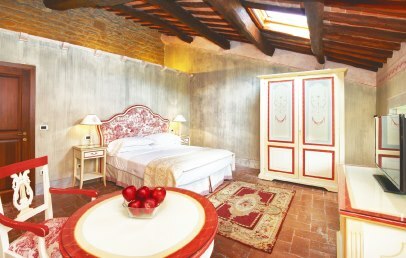 The design of the furnishings is elegantly reminiscent of traditional Tuscan themes. 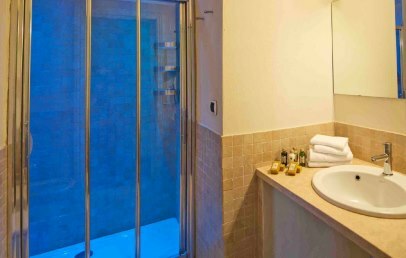 The en-suite bathroom offers a bathtub or shower, hair dryer, bathrobes and complimentary toiletries set. Welcoming double rooms with double bed or twin beds and an elegant and simple design. 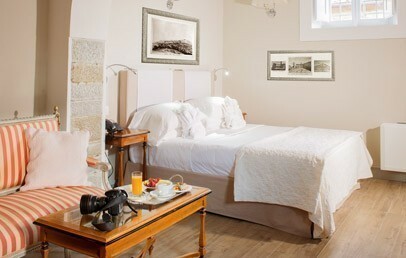 All rooms offer and en-suite bathroom with shower or bathtub. Exclusive and comfortable room, suites offer a night area with double bed and a day area with comfortable chairs. 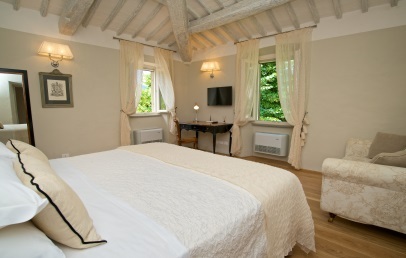 All rooms have stunning views over the garden.